Rob and I visited the Tynemouth Volunteer Life Brigade Watch House Museum a long time ago. We heard of the restoration earlier this year, and wanted to see what had changed and look at all the lovely interesting things again. 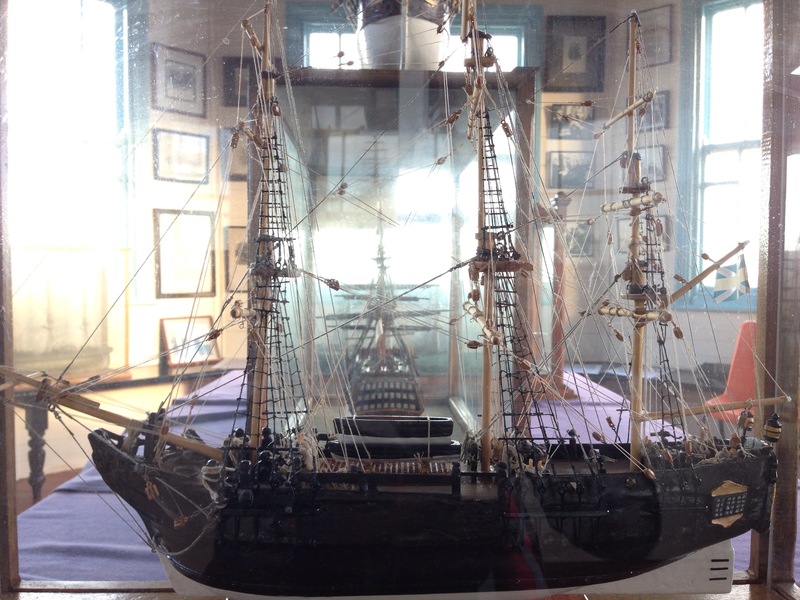 The Watch House Museum is open Tuesday-Sunday from 10am to around 2:30, but check on the website before you visit for the exact hours. When we visited we were the first visitors of the day, and so we had to ring the bell, which brought the lady out of the cottage nearby to unlock the door and turn on the lights for us. 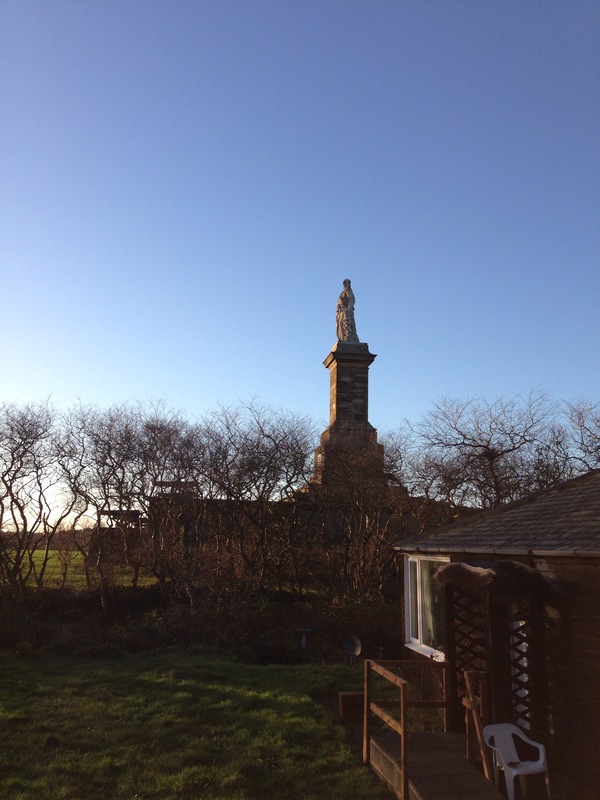 It was nice to have a different view of Lord Collingwood to our normal perspective – usually we see it from the back (in the car park) or the other side as we walk along the quayside. Imagine looking out to that in your garden. Impressive! While inside the museum, Rob stood and had a chat with the lady while James and I looked around. It turned out that Rob’s Great Uncle’s cat currently lives in the museum lady’s cottage, because he and Rob’s Nana used to live in the Spanish Battery cottages next door. I really liked this line drawing of the area. It shows North Tyneside in a map with comments and poems, little figures, and landmarks. Here’s the priory, which is on the cliff edge nearby. Here’s what it looks like in real life, looking out towards the priory from the museum. There are so many interesting artefacts, such as this figurehead from the wreck Rupert, which got in to trouble in 1895. The TVLB went out to rescue it, and the story can be read in the museum. The building itself is so distinctive and interesting; this place is definitely worth a look, both inside and out. 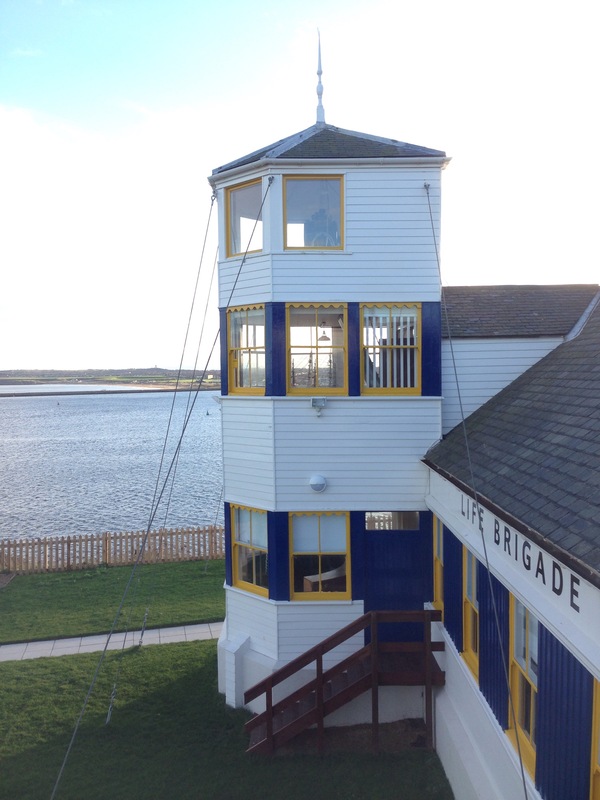 We visited the Tynemouth Volunteer Life Brigade Watch House for a bit more than ninety minutes. It’s definitely possible to spend longer, especially if you’ve not got a child running around and so you can read the placards that tell you about the items gathered in the building. If you wanted to make a day of it, you could walk along the quayside towards the fish quay for fish and chips, or down to Tynemouth in any of the bars and restaurants. We love to walk along the pier at the North side of the mouth of the Tyne, too, weather permitting. You will; it’s full of interesting bits and pieces! You could also visit the priory, which is English Heritage, and good for a little run around in the outdoors. With it being an indoor place, we’ve left it to winter, but I think you will enjoy it whenever you go. 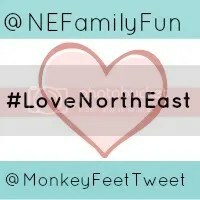 Thanks for hosting #lovenortheast! How have I never heard of this before? It looks brilliant! Adding it to our adventure list, thank you!! Hope you enjoy it if you go! Oh my days I never knew this was here! I will have to pop over and have a discover! It just blends in to the scenery, I think, even though it’s a brilliantly originally shaped building. I’ll bet you’re so excited for Dubai! What a brilliant adventure!